I've just started scanning and mounting my German WWI Occupations, so here's the first of several posts on those areas. Most images open to larger versions. Following the German advance into Belgium and France in the early days of WWI, the Germans set-up several administrations to govern the occupied areas. 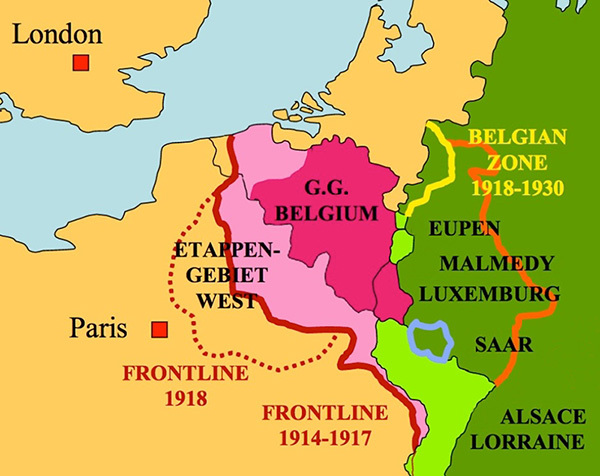 On the Western Front, they divided occupied Belgium into three zones. The largest was the Belgian Generalgouvernement, consisting of Brussels and the surrounding area. A second zone consisted of the coastal areas, which were placed under the administration of the German Navy. In order to provide postal service to civilians living in the these zones, Germany overprinted German Germania issues with "Belgien" and new values (more on these stamps in a later post), originally issuing these on 1 October 1914. The third zone consisted of East and West Flanders, including the cities of Ghent and Antwerp, and was controlled by the German Fourth Army. For postal purposes, this third zone of Belgium was combined with the German-occupied portions of northeastern France into a postal administration known as the Etappengebiet West, or Staging Area West. In the days following the opening of hostilities, Germany did not immediately have postage available in the Etappengebiet West. 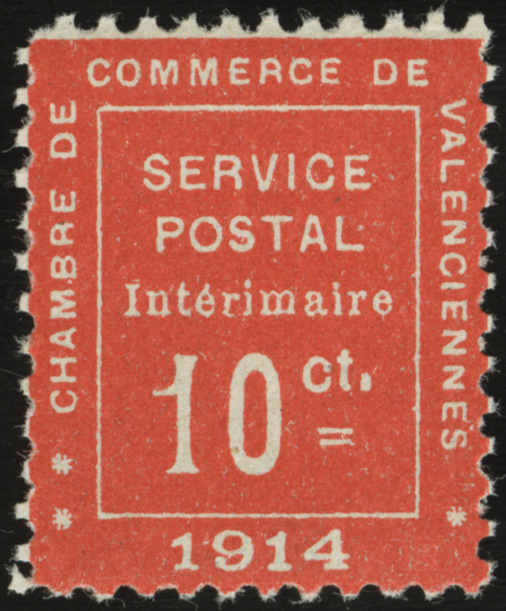 For this reason, the Chamber of Commerce of Valenciennes, France, with the permission of the German administration, created this provisional stamp for use in the districts of Valenciennes, Le Quesnoy, Solesmes and Cambral. 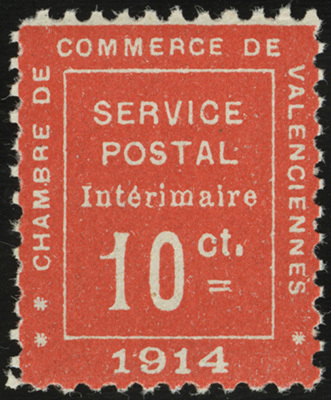 It was valid from 8 September - 30 October 1914. 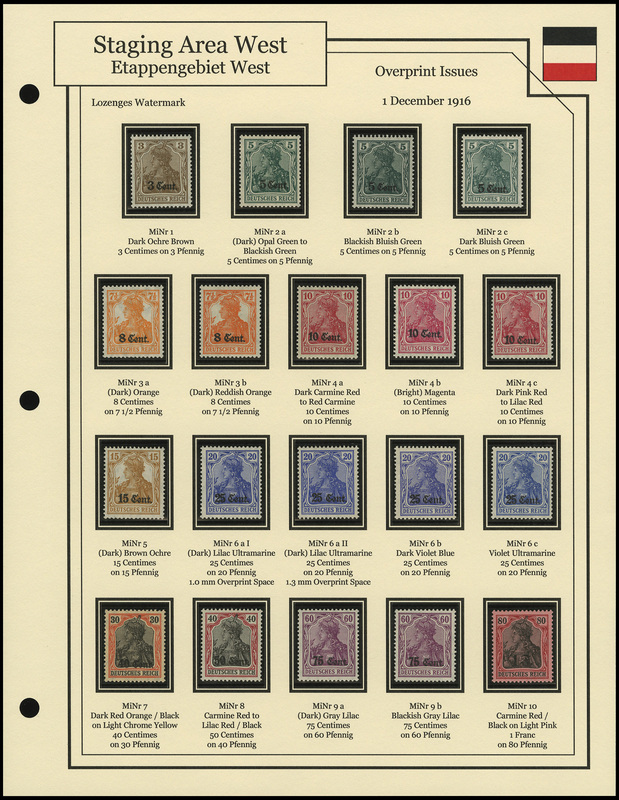 It was not widely distributed or used, and catalogs pretty high in Michel (€1,200 MNH, €700 used). From 1 October - 14 December 1916, civilians in the Etappengebiet West used the "Belgien" overprints of the Belgian Generalgouvernement. 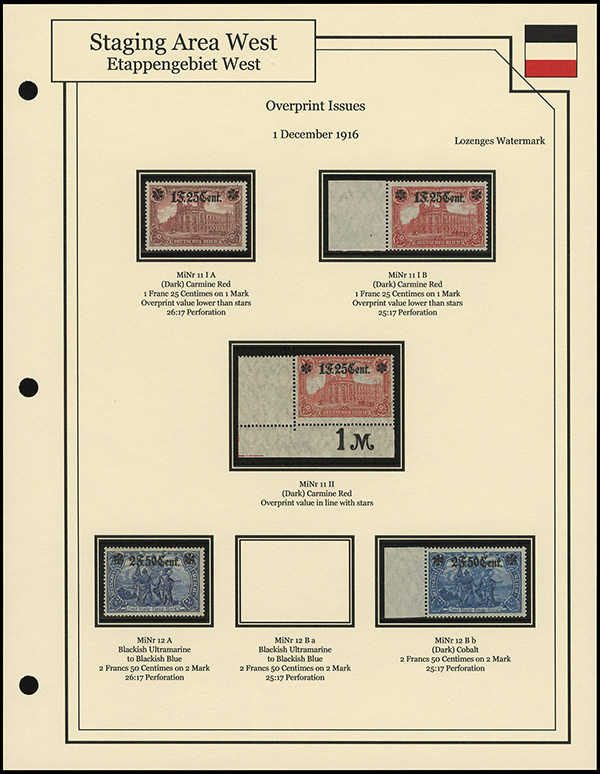 On 1 December 1916, however, new postage specifically overprinted for use in the Etappengebiet West was first issued. This would be the only set issued in the Etappengebiet West over the course of the war. 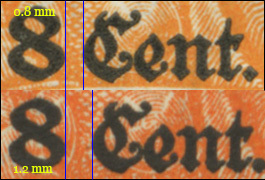 The stamps are also Germania overprints, though with only a new value overprinted (meaning no location overprints like other German WWI Occupation overprints). I'm missing the high-value of the set, MiNr 12 B a, with a MNH CV of €2,000. Ugh. The basic set is 12 fairly low CV issues, but there are numerous varieties with slight differences in color, printing process, and overprint spacing. The Etappengebiet West stamps remained valid until the withdrawal of German troops in 1918. 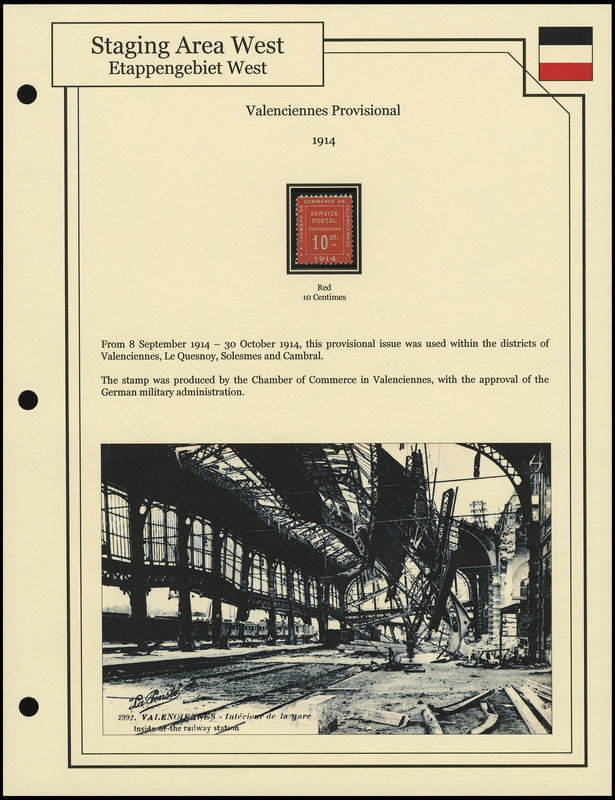 To see hi-res scans of the individual stamps, see my website here (Valenciennes) and here (overprints). Those are some great looking stamps. I really like your pages too.